I was talking to someone few weeks ago about our work environment these days. The person I spoke to mentioned that working 10 to 12 hours a day is the norm and that anything less than that would be frowned upon. For most companies, cost saving, productivity and efficiency are up on their list of things to accomplish each year. The quest to do more with less causes a ripple that causes people to work longer hours to get things done. That discussion led me to think about my time spent and all the people around me. While it is true that I have spent more hours over the last four years than I did in the past, the circumstances that I’m in are very different because of the types of projects that I was fortunate to lead and worked on. However, the discussion made me aware of how people spend their time and the result that yielded out of the time spent. I beg to ask the question: Is working more hours really a way to demonstrate that we are committed to the cause of the company? And, by doing, so are we an asset to the firm? Therefore, why do some managers bring it up when discussing how much time we spent at work? As if we don’t spend 10-12 hours a day would mean that we are not reaching our maximum capability. Is it fair to expect that logging more hours is a true measure of our contributions? From my perspective, I value the results more than the total hours spent. One could argue that there is a minimum number of hours worked to commensurate the pay we received. As one my developer often says, “I’ll do the work that I was paid for and won’t do anything less than it.” His saying reminds me of the saying “An honest day’s work for an honest day’s pay.” Which I firmly believe is the way to measure our contribution. We need to be able to say that we did not take more than we deserve and that we put in the hours needed to get the job done. It is for a stretch project – such project that you committed to ahead of time, but did not get around to and that would affect your ability to get better projects in the future. Last-minute surprises – this could be last-minute problems that could jeopardize the project that you’ve work so hard for the last few months. Taking one for the team – I believe that we succeed as a team and fail as a team. When someone fails to deliver their share of the work and the team will end up paying the price for an issue, someone should pick up the slack and get it done. 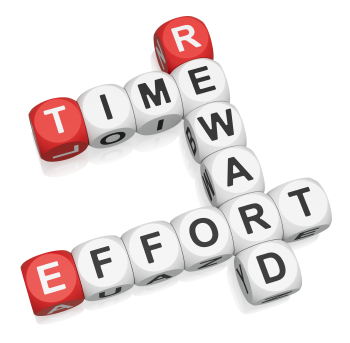 Task has less priority – don’t burn your midnight oil on a task that has less priority and brings little value. You need to prioritize your work and work on the one with the nearest due date and that has the highest importance. To show that you’re committed – working long hours with the implicit assumption that it adds more value does not make sense. The number of hours worked should yield equal results. Assuming that by showing you’re a hard worker you’ll get promoted – the reality is if you’ll be spending more time now to get your job done, chances are you’ll have to work even more longer hours to assume more responsibility. Don’t fall into the trap that working long hours means you’re being valuable to the company. Focus on results and making sure your results match your effort. I’d like to reiterate that I did not write this post to discourage people from working hard. My point is: make sure that your work adds value to the business. Don’t do busy work and take important things for granted. If you have children, remember that they are only young once. If you missed any opportunities you can never buy back the time. Bonding with your children is best done while they are young. Once your children reached their teenage years, they want to hang out with their friends; therefore your chances are minimized. Take care of yourself and make sure that you’re a positive influence to the people around you. When you start your day tomorrow, think of the value of the task that you’re about to worked on and compare it against the other tasks on hand and work on the one with the highest priority. Because hours spent should be almost equal to the result they produce. It cannot be 150% work effort for 50% results. Thoughtful piece Will and very aligned with ethos on my ‘Aim over Speed’ blog. Interestingly getting seriously into philosophy behind Dave Allens GTD methodology recently which preaches a relentless laser focus on allocating your attention to what truly matters to you. I think the ‘weighing commitment by the pound’ approach you are rightly critical of above may be a way ones ego tricks you into ‘settling’ for working long hours to convince yourself that you have ‘tried your best’ versus doing the emotional labour of working on what would actually move your life goals foward. Wise words my friend. It took me many years to realize that 12 hour days don’t necessarily add up. And, as a self-confessed workaholic, it is still something I have to remind myself of. You nailed it – time with your family and friends is vital to your mental wellbeing. If you find yourself in a divorce situation, or with kids with issues, I guarantee your productivity is going to drop through the floor. Time is an expiring asset, and time with your children even more so. Make sure that you spend that time wisely.